This great warrior of the Maratha Confederacy, Bajirao Peshwa, has suddenly gained much prominence across the Indian subcontinent. The legendary leader first came into focus with the release of the extremely successful Bollywood movie Bajirao Mastani earlier this year. Now Ran Shivsankaran brings to us the lesser known aspects of the earlier life of this great Maratha fighter through his book The Peshwa: The Lion and The Stallion. When I first got the book, I was quite anxious to start reading it despite being aware of what it was about. Set in the 18th Century, The Peshwa tells the tale of how the Maratha Confederacy had established itself as a force to reckon with during this time. Balaji Vishwanath Peshwa, the fiercely loyal and power deputy of the Maratha Chhatrapati Shahu, undertakes a journey to the Delhi to rescue Rajmata Yesubai., and is accompanied by his son, the young Bajirao. Balaji foils the plan of Nizam-Ul Mulk, his contemporary in the Mughal Empire, of assassinating him and Bajirao and in the process ends up opening up a deep wound related to the past of Nizam-Ul Mulk. With the fragile peace between the Mughals and the Marathas threatened by Balaji becoming the victim of a fatal malady, it is now up to Bajirao to rise beyond his personal grief and try to protect the Confederacy and everything he loves. The Peshwa is a good mix of fiction and history, which makes it an engaging read. The language used by Ram Shivsankaran is one that both inspires the readers and makes them feel one with the nationalism, struggles and pain of the titular characters. The pace is good and the storyline is gripping which ensures success of the book from the word go. 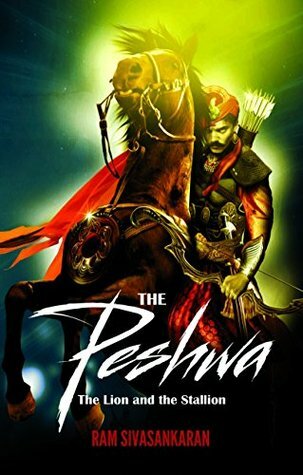 I found the Peshwa to be a well worth reading and wish Ram Shivsankaran all the best for its success.